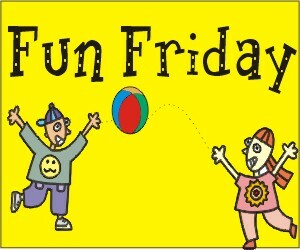 One of my responsibilities as a Business HR includes organizing monthly ‘Friday Fun’ events for my business units. Events like these have given me a slight insight on what the management views as employee engagement. There are innumerable definitions of ‘employee engagement’ out there but when it comes to practice, most organizations associate engagement as just fun activities and team outings. It is only during the yearly ESAT surveys that we get down to trying to define who we consider an ‘engaged employee’. By that time, it is usually a little too late to begin to define it. But let’s take a closer look at the ‘Friday Fun’ activities that are conducted in organizations worldwide. To begin with, a lot of client calls take place on Friday evenings. Choosing a convenient time to get maximum employees away from their systems and into games is my first problem. Another phenomenon I’ve noticed is drawing employees out to play the games. I have to run from building to building with volunteers trying to peel people away from their desks. There are a few enthusiastic people who turn up all the time. For most, they’d rather stand at a distance and watch or not turn up at all. Over time, I’ve begun to question the whole concept of ‘Friday Fun’. Should I be breaking up the games into smaller modules and get it organized project wise? Wouldn’t that defeat the purpose of the fun activities – building bonds across departments? There are good months and bad months. Sometimes I get an amazing turnout and sometimes I get highly disappointed. These events are always fun to conduct but I need to re-invent the system and find a way to get people to look forward to this. Budget is of course another constraint I need to work around. Any ideas how we can make Fridays a lot more fun?